Home Uncategorized What’s next for Hugh Acheson? 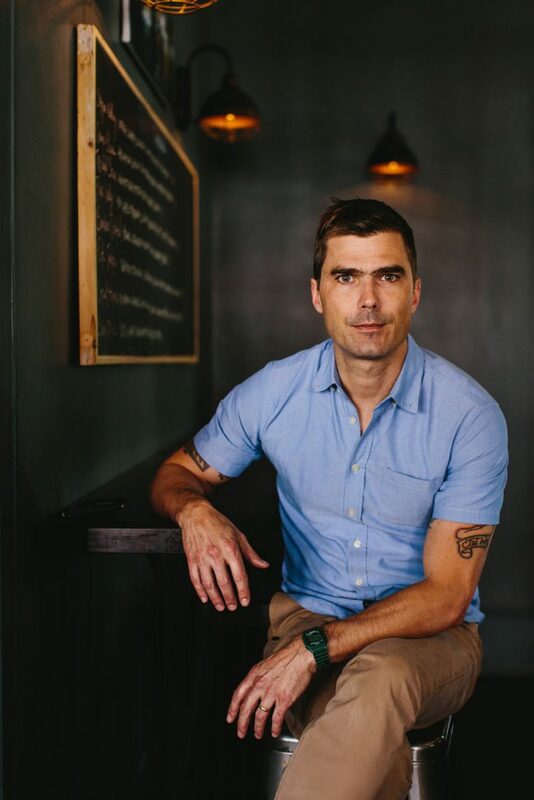 Chef Hugh Acheson has built an interesting mix of businesses since he landed on the culinary map with Five & Ten in Athens in 2000. Along with a stint as a Top Chef judge and authoring three cookbooks (one of which won him a James Beard award), Acheson also operates Empire State South in Midtown, the National in Athens, and Spiller Park, a Ponce City Market coffee shop that has a second location opening soon in Toco Hills. But after just two years, his Italian-inspired restaurant in Savannah, the Florence, closed in June. “Losing the Florence was a pain and was sad, but some things just don’t work in some vistas,” he told me last week over the phone. Acheson is moving on with his latest restaurant, Achie’s, which will serve Southern-inspired fare in new Omni Hotel at the Battery Atlanta at SunTrust Park. Achie’s is Acheson’s third endeavor in the Battery. He opened First & Third Hot Dog and Sausage Shack inside SunTrust Park and was a consultant at Punch Bowl Social, a 27,000-square-foot restaurant, bar, and entertainment concept set to open next year. For a chef whose restaurants have been scattered throughout Georgia, opening two new concepts and consulting on a third in the same development, particularly a sporting arena, is an eyebrow-raising move. Acheson says that forthcoming Omni at the Battery is one of the chain’s smaller hotels, and likewise describes the restaurant as an intimate, welcoming space. Set to open early next year, it will serve breakfast, lunch, and dinner, with dishes such as flounder crudo with peanuts, cucumber, pickled chiles, and watercress, and a plate of Spatchcocked local chicken with pickled raisins and lemon herb gravy that’s large enough for two to share. “It’s just meant to be my style of food, with attention to the seasons and a good beverage program,” Acheson says. Among the staff at Achie’s, which was the nickname of Acheson’s grandfather, are two experts in their field who have worked alongside Acheson for several years. Kellie Thorn, who started as a bartender at Empire State South in 2010 and was beverage director for all of his concepts by 2013, will lead the cocktail program. Award-winning sommelier Steven Grubbs, a partner/wine director at ESS who started as the wine director of Five & Ten in 2009, is also joining the team. Acheson says the chef will be announced soon, but did tell me he’s a young talent. He’s also been scribbling away in his sketch book, posting doodles to his Instagram account such as this warning for people not to stare at the sun during the eclipse or this to-the-point job announcement. He calls his doodles his “method for bookmarking ideas,” but he also uses them to raise money for Seed Life Skills, selling prints on his website for $15 each.